More from Ora: Te'o's Dead "Girlfriend" TWEETS! 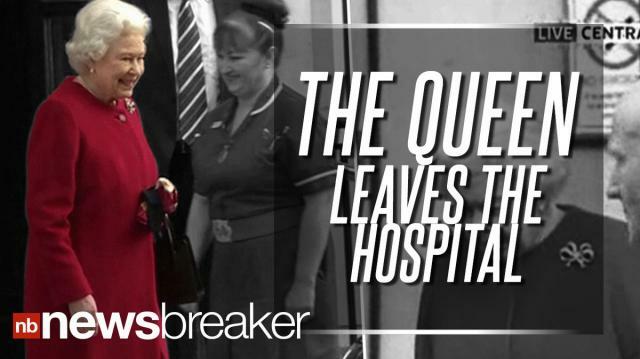 ACCORDING TO SKY NEWS - QUEEN ELIZABETH JUST LEFT KING EDWARD VII'S HOSPITAL IN CENTRAL LONDON THE QUEEN HAS HOSPITALIZED ON SUNDAY - SKY NEWS REPORTS IT WAS ONLY OUT OF PRECAUTION BECAUSE THE QUEEN WAS SUFFERING FORM GASTROINTERITIS. SHE HAD CANCELLED HER ENGAGEMENTS THIS WEEK WHICH INCLUDED A TWO DAY TRIP TO ROME - JUST BEFORE THE PAPAL CONCLAVE IS SET TO START. THE 86 YEAR OLD QUEEN IS TOUGH COOKIE - THE BCC REPORTS THE LAST TIME SHE WAS IN THE HOSPITAL WAS 10 YEARS AGO FOR A KNEE OPERATION. Host @DavidBegnaud delivers breaking news and today's trending buzz in 45 seconds.